Inzai, February 8, 2015 (Alochonaa): If you have been paying attention to the news, at least in Japan, there is zero chance that you have missed the reportage on two Japanese citizens captured by Daesh forces in Syria. This affront to the Japanese people has been taken differently by different quarters of society and it has in particular highlighted the clunky government crisis response mechanism. 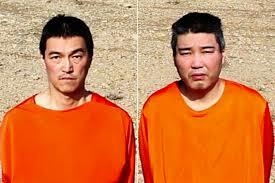 At the end of January, Haruna Yukawa and Kenji Goto were presented to the world in the customary orange of Daesh hostages. The spokesperson for the militant, extremist group demanded, in a laced British accent, that the Japanese government must pay upwards of $100,000,000 USD for the release of each prisoner. This was apparently in response to the $200,000,000 USD that the Japanese government had pledged to the Jordanian government in support for non-military operations to help, indirectly, with the fight against Daesh advances in the middle-east. What marred this situation was despite the release of this video, government officials responded with stalling and a complete lack of action. 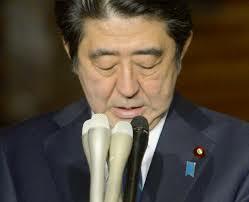 Many local and international news outlets attacked the Abe administration for its non-committal stance. While the international norm with hostage situations is not to negotiate with terrorists, the Abe government apparently stuttered and decided to think about what other actions it could possibly take. It is sincerely doubted that the Abe government was ever realistically going to pay the amount asked of them by the Daesh, so why not a firm response like the rest of the world expected them to? There hasn’t exactly been any real form of damnation beyond disappointment but there is an underlying desire for the Japanese government to at least look competent in these situations. 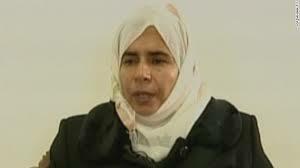 After the apparent execution of Yukawa at the hands of the Daesh, Japanese officials looked to cooperate with the Jordanian government over a possible prisoner swap for Sajida al-Rishawi, a failed suicide bomber, and Kenji Goto. However this approach was complicated by the capture of a Jordanian pilot. With very few expecting the Jordanians to swap their prisoner for one not of their own, any possibility of bringing Goto back from the terrorist organization was fairly quickly scuppered. Several days later Goto was executed and not long after the Jordanian pilot was immolated by the Daesh. What were however the reactions to this from the Japanese people? This is perhaps the most interesting of all. 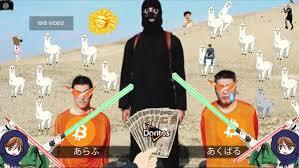 After the release and constant play of the original ransom video, Japanese netizens took the the Twitterverse and plastered doctored images of the would -be terrorist and his captives under the tag of ‘Crappy Collage Grand Prix.’ The creative images featured the insertion of various anime characters, recreations of the image in games as well as simple cut out jobs where, for example, the Daesh spokesperson holds his knife to a roll of kebab meat. Barely hard-hitting satire, but this earned the ire of some Daesh sympathizers who attacked the creators only to be met with a figurative, raised middle finger. One concern of course for a mono-ethnic society such as Japan is of course how much that society will other those that are in the minority. It was a legitimate concern of this author that this terrorist group, labeled in the media as the “Islamic Nation,” would cause a significant backlash against the small Islamic community in Japan. This has not been the case at all. In fact, the local media made an effort while negotiations were going on to consult with Islamic community who in turn denounced the actions of the Daesh. This was a significant yet subtle gesture by the mainstream media to show that they were aware of what could happen given the possible misunderstanding that all Muslims could be labeled as terrorists by the general populace. However, understanding the Daesh is still taking baby steps as many people in Japan have called for military action against the extremists in various fits of rage. There is still nuance needed in this discourse. It is also worth noting that the Japanese people were largely unimpressed by the government’s inability to affect the hostage situation in any meaningful way. It was however an issue that divided the nation. On the one side was the thought that the government should come to the aid of its citizens in need regardless of the circumstances. On the other hand was the thought that Yukawa and Goto put themselves in danger so it should not be up to the government to throw the kitchen sink at the issue to save them. Yukawa is perhaps the one people have the least sympathy for. A confused man with a gender identity issue, Yukawa went to the war-zone in Syria to sell arms to the various factions in the country. Having never fired a weapon, let alone sold one, Yukawa found himself way in over his head trying to make a quick buck. Goto on the other hand, a journalist who made a trade of visiting and aiding children in war-torn nations was, it was reported, there to try and find Yukawa as well as uncover information about those living in Daesh controlled areas. Shinzo Abe, Prime Minister of Japan. The Abe government has taken some criticism over its inability to secure the release of either of the Japanese citizens that have since been executed by Daesh. Source: New York Times. There has been a lot more sympathy for Goto particularly with his mother continually approaching the media to plead for the release of her son. He was considered a very altruistic man who accepted the dangers of his profession. There has however been very little sympathy for Yukawa who is seen as a foolish man. Perhaps this split was most exacerbated by the apology given by Yukawa’s father on behalf of his son for causing such an issue for the government and the Japanese people. This was met with confusion from some, particularly in the international media, but this highlighted the difference between Goto and Yukawa. One was there for selfless purposes, the other for selfish gain. Japan’s first interaction with the Daesh has certainly been an interesting one to view. Some are now worried that Japan’s support of Jordan has put Japanese citizens in the sights of Daesh operatives moreso than before with one newspaper even rashly predicting a terrorist attack on Japanese soil in the near future. This will also likely affect the conversation of Article 9 in the Japanese constitution which forbids war. Already Prime Minister Shinzo Abe has suggested that in his new reinterpretation of the article that they could in future come to the aid of its citizens in danger; these events may even push for further changes. Conversation has already started with the Prime Minister looking to make amendments to the constitution to aid with the extraction of any future prisoners. Changing Article 9 however has been a sticking point for Abe since coming to power and it does appear that he is trying to take advantage of an emotionally fragile nation to forward his own agenda. Whether or not this will work is still under debate, but this attack may have lasting effects on the way Japan handles its security.